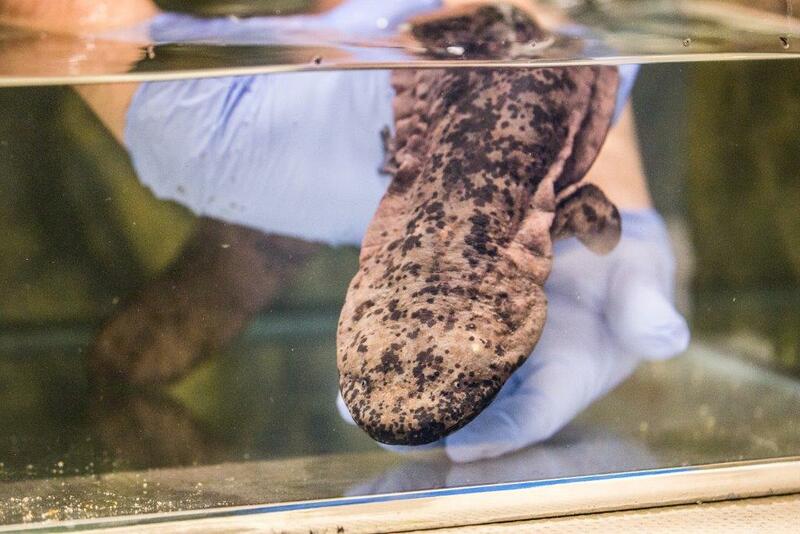 Four Critically Endangered Chinese giant salamanders were rescued by officials after an attempt was made by smugglers to illegally import them recently. 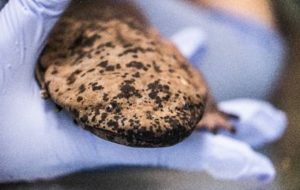 Border Force asked ZSL wildlife experts to identify the amphibians before inviting keepers at London Zoo to home the salamanders as they have previous experience looking after the aquatic giants. Now, one of the surprisingly charismatic amphibians – named Professor ‘Lew’, which means ‘dragon keepers’ in Chinese – has moved into a state-of-the-art tank in the Zoo’s Reptile House, giving visitors the chance to come face to face with one of nature’s giants. Currently measuring 30cm in length, Professor Lew is thought to be four years old, but could eventually grow up to 1.8 metres in length and weigh up to 54kg.